“In summary, this airman, although talented, will not be guided by policy,” heralded Hunter S. Thompson’s honorable discharge from the U.S. Air Force in November 1957, a considerable understatement given the iconic writer’s eventual symbolic anti-authoritarian status. Following his discharge, Thompson tried a few journalistic stints in New York but was fired by Time (for insubordination) and the Middletown Daily Record (for damaging a candy machine) and moved to Puerto Rico in 1960. Having failed to procure a position with the San Juan Star, Thompson wrote for the El Sportivo sporting magazine… though it folded quickly after his arrival. His experiences in San Juan formed the basis of The Rum Diary, a novel that he penned shortly after his return to the U.S. the following year, although it wasn’t published for more than three decades. Al Pacino as Michael Corleone in The Godfather Part II (1974). 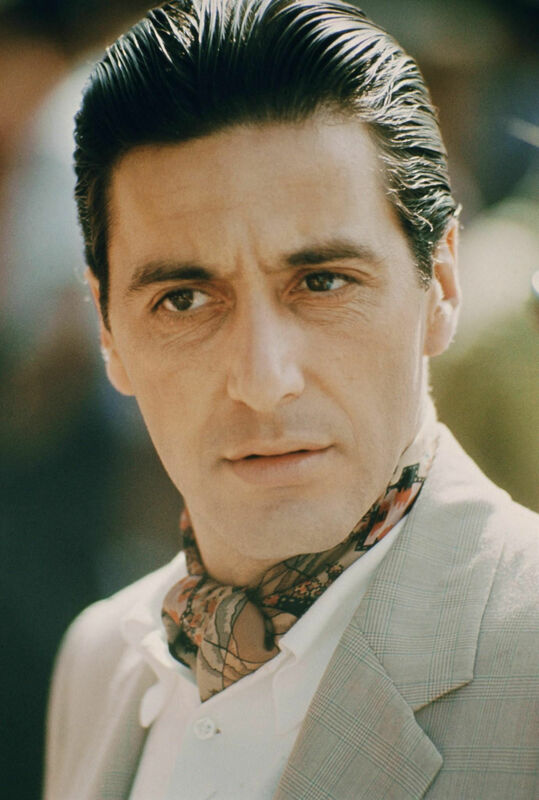 Michael makes good use of his four unique suits in The Godfather Part II, sometimes wearing a three-piece suit without a vest or, as we see in this case, adopting a more luxuriously casual look by swapping out the shirt and tie for a soft polo and a day cravat. 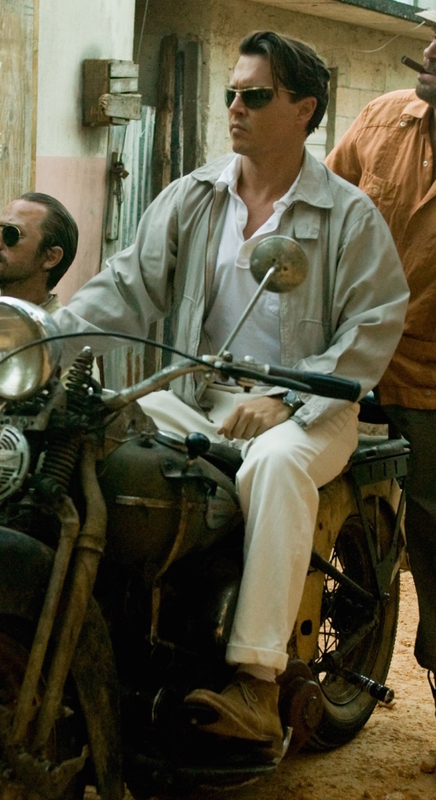 Johnny Depp as Paul Kemp in The Rum Diary (2011). Car week continues with a story by an American icon involving an iconic American car.